Anchor text is the visible and clickable text you have in a hyperlink. Since google has rolled out their Penguin Update for the first time in 2012 they are playing a big roll for SEO. Let's first take a look at the different types of anchor texts are. Growthhacklist’ anchor text is a great article. Growthhacklist' article about anchor text is a great resource. Growthhacklist’ article about anchor test is a great resource. Growthhacklist' article (https://growthhacklist.com/methods/anchor-text) is a great resource. Growthhacklist article is a great resource. Read here the full article. Image links: the anchor text is the alt text of the image (according to Google). So how to write a good anchor text for SEO? 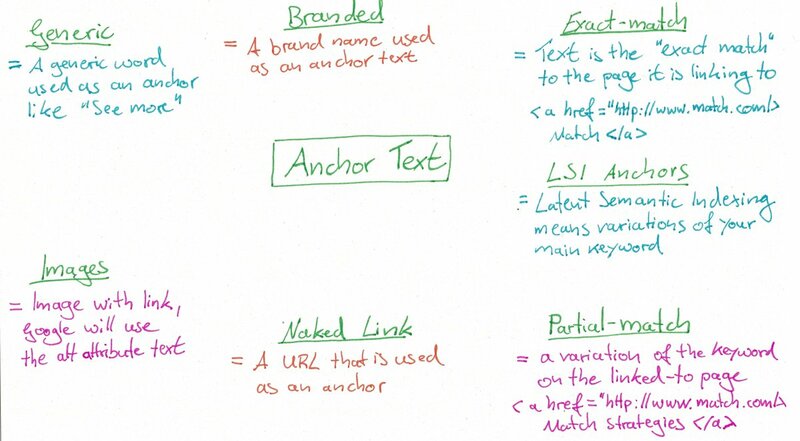 MOZ suggests the following rules for SEO-friendly anchor text. Where to read more about it? Want to discuss our latest SEO like Anchor Text?